Black 2008 Chevrolet Equinox LT AWD 5-Speed Automatic Electronic with Overdrive 3.4L V6 *NEW OIL & FILTER CHANGE*, *USB / AUX INPUTS TO PLAY MUSIC*, AWD, 16`` x 6.5`` Cast Aluminum Wheels, 17`` x 7`` Pearl Chrome Aluminum Wheels, 2.48 Axle Ratio, 4-Wheel Disc Brakes, 6 Speakers, 6-Way Power Driver Seat Adjuster, ABS brakes, Air Conditioning, AM/FM radio, AM/FM Stereo w/CD/MP3 Player, Bodyside moldings, Bumpers: body-color, CD player, Delay-off headlights, Driver door bin, Driver vanity mirror, Dual front impact airbags, Electronic Stability Control, Emergency communication system: OnStar Safe & Sound, Equipment Group 2LT, Four wheel independent suspension, Front anti-roll bar, Front Bucket Seats, Front Center Armrest w/Storage, Front Halogen Fog Lamps, Front License Plate Bracket, Front reading lights, Front Reclining Bucket Seats, Fully automatic headlights, Illuminated entry, Inside Self-Dimming Rear-View Mirror, Leather steering wheel, Low tire pressure warning, Occupant sensing airbag, Outside temperature display, Panic alarm, Passenger door bin, Passenger vanity mirror, Power door mirrors, Power steering, Power Tilt-Sliding Sunroof w/Express-Open, Power windows, Premium Cloth Seat Trim, Radio data system, Rear anti-roll bar, Rear seat center armrest, Rear window defroster, Rear window wiper, Remote keyless entry, Remote Vehicle Start, Roof rack: rails only, Security system, Speed control, Speed-sensing steering, Split folding rear seat, Spoiler, Steering wheel mounted audio controls, Tachometer, Tilt steering wheel, Traction control, Trailering Equipment, Trip computer, Variably intermittent wipers, Voltmeter, Weather band radio, XM Satellite Radio. Hello, I would like more information about the 2008 Chevrolet Equinox, stock# 12182B. 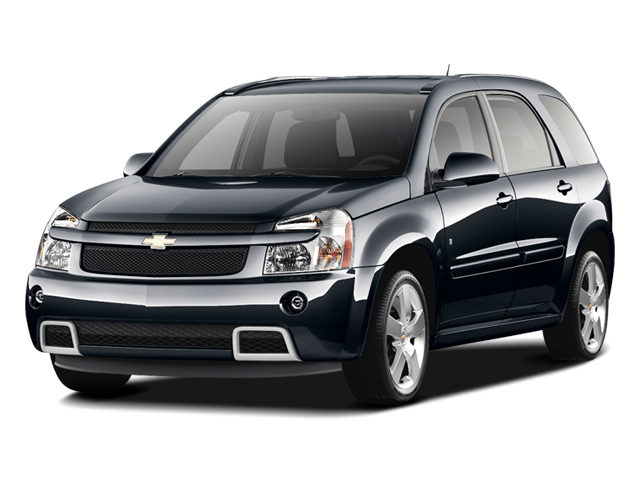 I would like test drive the 2008 Chevrolet Equinox, stock# 12182B. Please text me about this 2008 Chevrolet Equinox (2CNDL43F386036814).